Music Matters is a series of appreciation lectures given by Asheville FM DJs, volunteers, and affiliates. Topics will vary according to the unique passions of the presenters but will likely focus on the historical, theoretical, or cultural aspects of various genres, artists, bands, labels, and even musical instruments. Every presentation is free to the public, with a suggested donation of $5-$50. Those who donate $50 will automatically become AFM members. 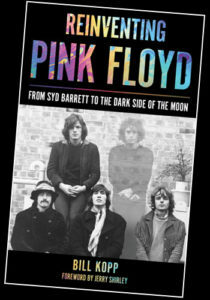 Join us on Tuesday, May 8, from 6–8 pm, for “Reinventing Pink Floyd: From Syd Barrett to the Dark Side of the Moon,” presented by Asheville author Bill Kopp. This event will take place at the Revolve Studio in RAMP SOUTH Studios, #179, 821 Riverside Drive. When founding member Syd Barrett left Pink Floyd in early 1968, there was good reason to think that the band was over. Five years later, the band would release one of the most popular albums in the history of the recording medium. But “The Dark Side of the Moon” wasn’t created out of nothing. The seeds for most every enduring quality found in the Pink Floyd experience – the lyrics, the musical textures, the overall presentation – all developed across the six albums, related tours and other projects that the band worked on in the years between “The Piper at the Gates of Dawn” and “Dark Side.” Drawing upon rare, unreleased audio plus analysis and discussion, “Reinventing Pink Floyd” author Bill Kopp will show how the band navigated the journey from being at loose ends to creating a monumental work. Seating for this event is limited. 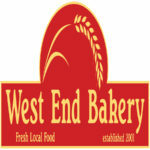 To register, please email sarah@ashevillefm.org or fill out this form.